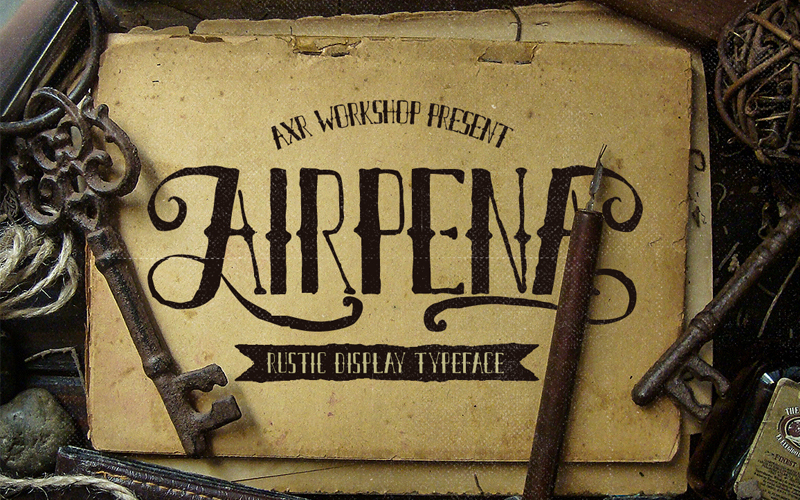 Airpena is Inspired from rusted and distressed handdrawn lettering used on retro motorcycle. It comes with full alphabet, alternates for Uppercase (Front and back) & Lowercase (end) its give you an exciting experience to use it in titling and or writing. This font is 100% free. You can use it on personal or commercial purpose. But you can't sublicense, modify, or sell the digital files.